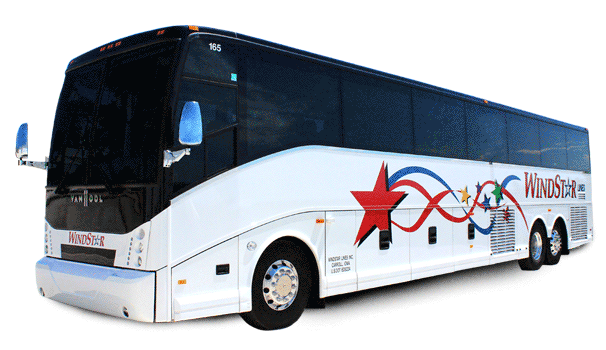 Our 56 Passenger Luxury Motorcoach is the epitome of a luxury vehicle. 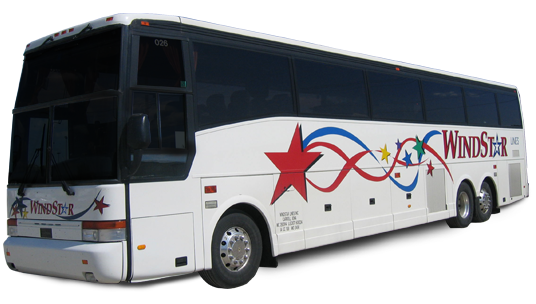 Loaded with options and amenities, this coach is sure to take you to your destination in ultimate style and comfort. Sit back, relax, and enjoy your ride with full climate control, spacious storage compartments, a DVD system, and more. 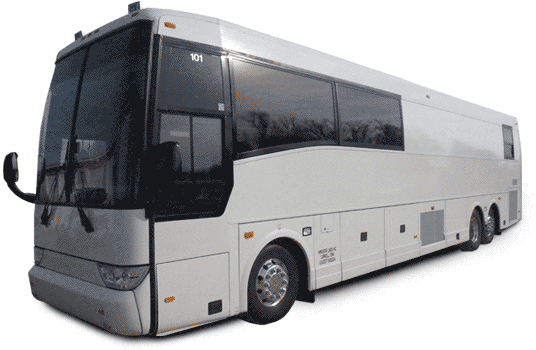 Windstar Lines' 28 Passenger VIP Sleeper Motorcoach is the ultimate sleeper bus rental. 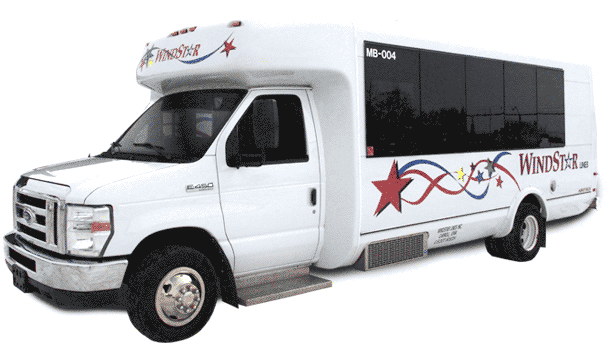 While in seating mode, this coach can accommodate up to 28 passengers. In less than 15 minutes, you can flip the bunks down from the ceiling, as well as convert the couches and dinettes, giving you a total of 22 bunks, plus the rear couch. This type of coach is great for those who want to socialize on the way out and rest on the way home! Traveling is a treat in almost everyone’s mind. Rewarding employees for a job well done shows you value their hard work and loyalty. Treating your VIP client to a night on the town, a trip to a ball game or NASCAR event in one of Windstar Lines’ luxury bus rentals will help solidify the relationship you have spent years building. Sleeper coaches are used primarily for long distance, through the night travel. 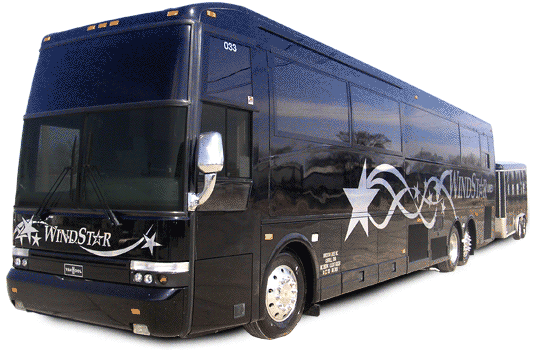 Hockey teams, baseball teams, and ski groups are all frequent users of our sleeper coaches. But groups of any type, who desire the comfort of motorcoach seats that transform into bunks, can utilize a sleeper coach. Windstar Lines sleeper coaches are the same coach as our luxury 56 passenger motorcoaches, but with modified interiors.